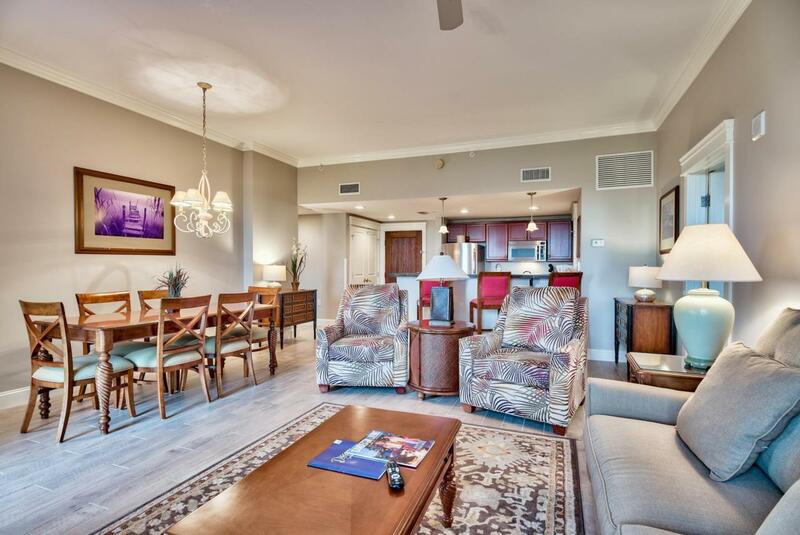 With only 4 homes that share the top floor this spacious penthouse 2 br condo in the desirable Grand Sandestin welcomes you to relax and unwind with its inviting charm. With a balcony view that includes a golf course lake and fairway as well as the beautiful bay, it is fantastic spot to enjoy our magnificent Florida sunrises and sunsets. The open floor plan makes a very comfortable living area and the split bedroom plan affords you plenty of privacy and comfort. 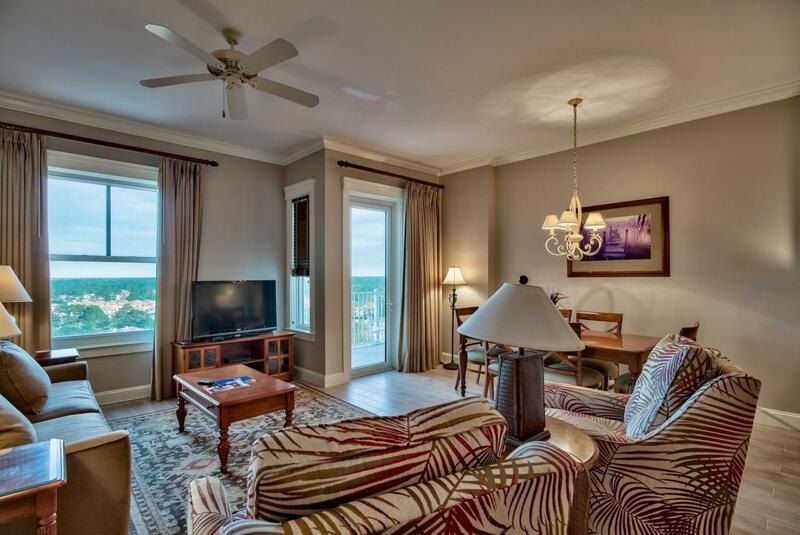 With a well equipped kitchen, and being sold fully furnished, this wonderful condo is turn-key ready! 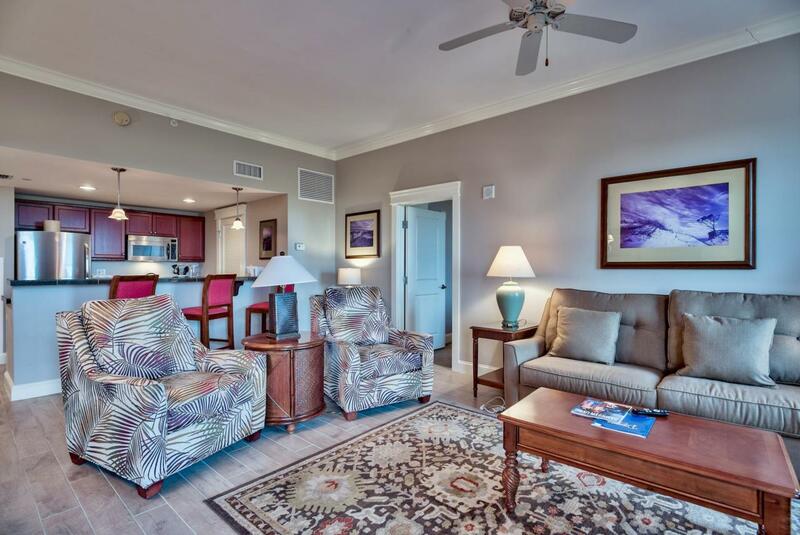 The Grand Sandestin is directly next door to the Conference Center and a short walking distance to the center of the Village of Baytowne Wharf, so it has a prime location! With the dining, shopping, and entertaining options...available in the Village of Baytowne Wharf, the lavishly landscaped lagoon style pool, and the nearby fitness room, you'll have plenty of things to do just outside your door. Grand Boulevard with its sprawling entertainment options is just a golf cart or bike ride away. 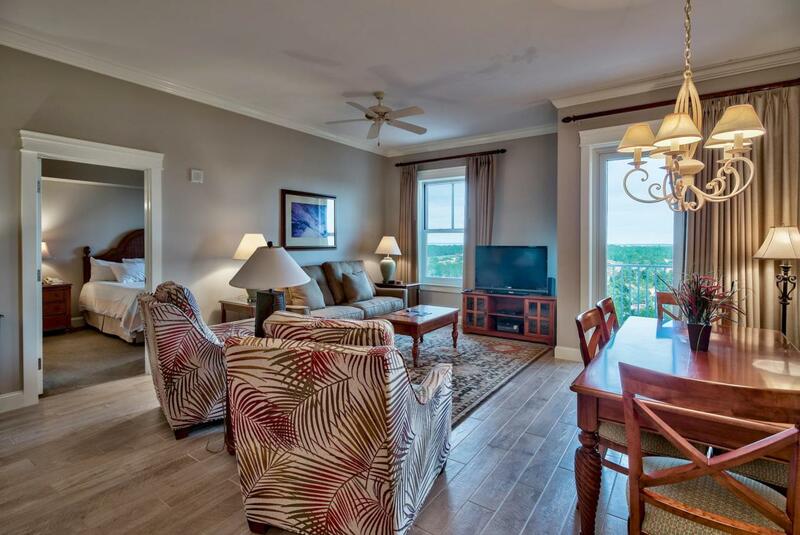 Sandestin Golf and Beach Resort features abundant amenities including the beautiful white sand beach, 5-Star golf courses, world class tennis, biking and hiking trials, a 113 slip marina, and many other exciting opportunities. Come enjoy all the many things Sandestin has to offer!